It’s winter in Ottawa, and that means crunching snow, plunging temperatures, and frozen canals. It also means murder. Ottawa Technical High School student Spud Sweetgrass has just witnessed a killing and he can’t get it out of his mind. He wrestles with deciding if he should tell the police what he saw or remain silent. His conscience ultimately wins over his fear, and Spud takes on the complex task of helping solve the crime. Spud doesn’t tell everything he knows to Detective Kennedy, nor is he working alone. His friends Connie Pan and Dink the Thinker return from Spud Sweetgrass to assist. The clues point to some unexpected places, like the beauty salon where Connie works. One of Connie’s clients, the man with the most beautiful hair in the world ? or so he thinks ? may be involved! Despite being unnerved over Connie having had her fingers in that hair, Spud forges ahead. But can he and his pals solve this terrible crime? 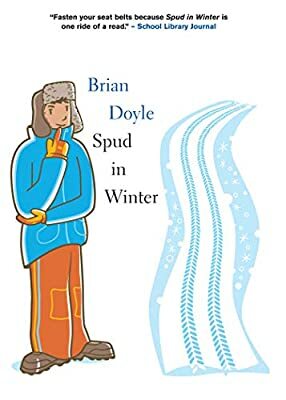 Spud in Winter showcases Brian Doyle’s trademark vivid, staccato style, smart, fast-paced plotting, and memorably eccentric characters in a rollicking read.